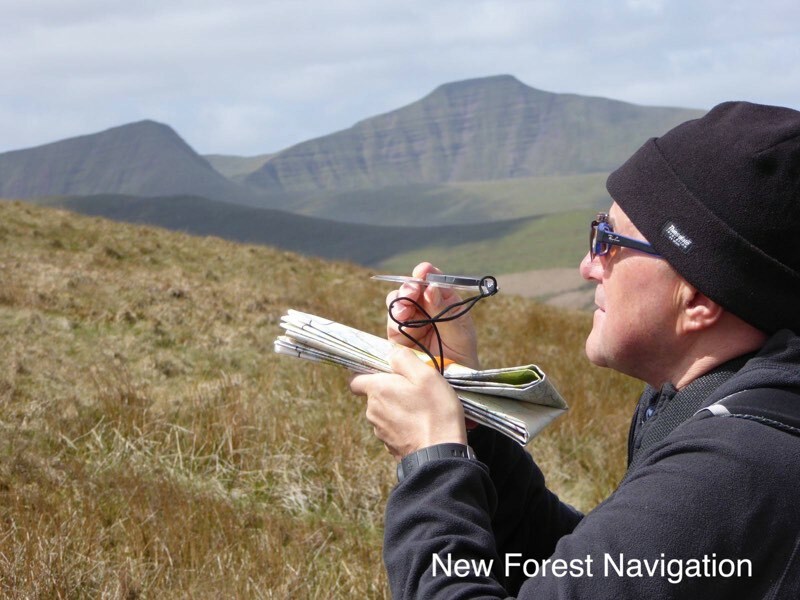 Beginners will learn to read a map and use a compass on the one day map reading course and Bronze National Navigation Award Scheme. 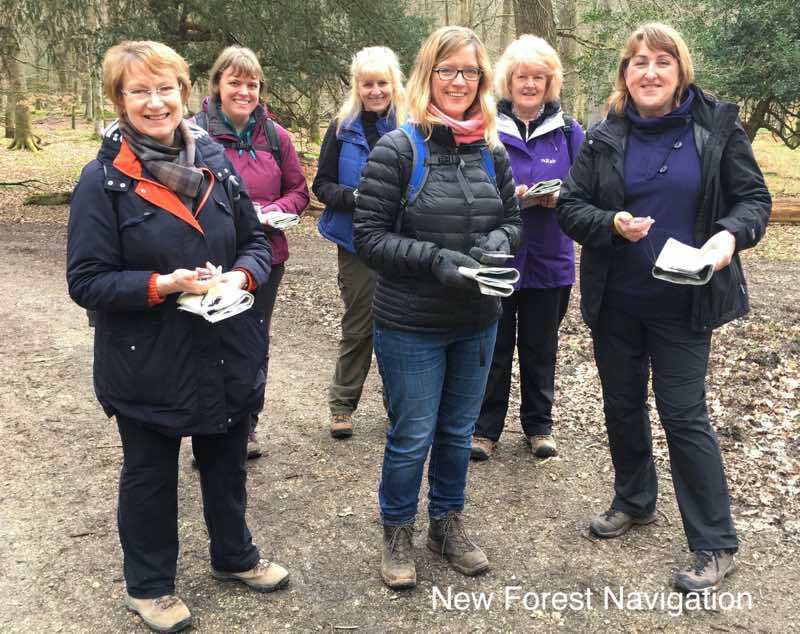 Learn to use a compass and accurate navigation techniques to cross more open countryside on a two day map and compass course or a Silver National Navigation Award Scheme course. Confidently navigate in the UK hills and mountains using a map and compass on the Mountain Navigation course or the National Navigation Award Scheme Gold level training course. Decided to bite the bullet and have a go. In North Devon, just passed Blackpool mill cottage. Thank you so much, you have given me the confidence, to do this, and it is great, putting all the things you taught into good practice. Having a great time with map and compass. 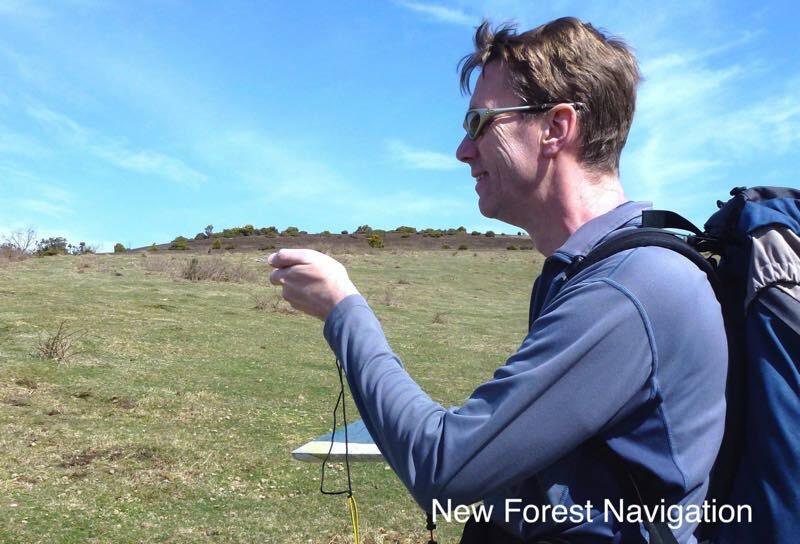 Hi Nigel, I am dropping you this note to thank you for the excellent NNAS Silver course I recently attended with you in the New Forest. Great Tuition, plenty of time to discuss the technical aspects of navigation. Through your good work I learnt some new techniques and ironed out some old bad habits I had acquired over a number of years and of course all in a great location. One or two day map day reading course. Ideal for complete beginners or those looking to improve navigation skills. Learn how to use a map and easy to identify features to find your way on tracks, paths and across open countryside. Learn how to use a compass to walk on bearings and point you down the correct path. Everyone can - and does learn how to use a compass! Learn what to do if you are lost and how to relocate. Personal performance, non-competitive, incentive scheme for anyone looking to learn navigation skills and get out and enjoy the countryside. 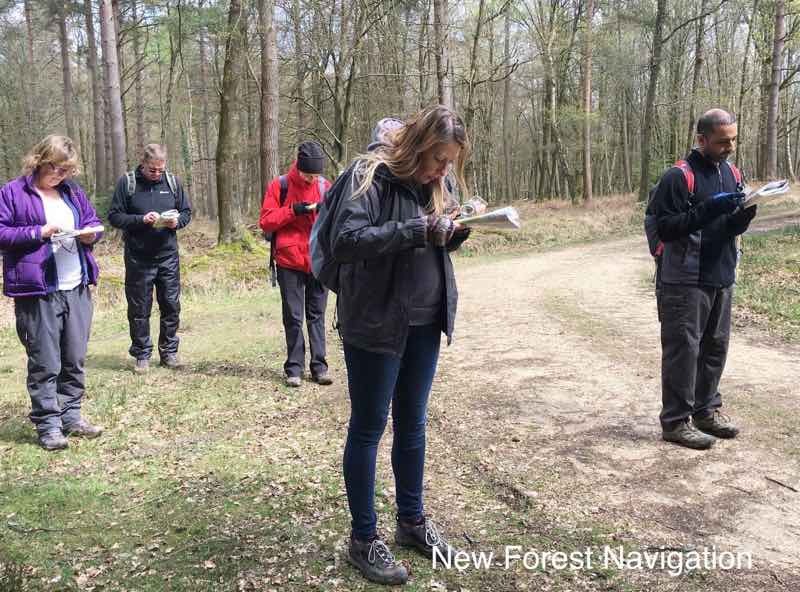 Bronze level course suitable for complete beginners that want learn to use a map and compass. Silver level courses for those that want to navigate more open countryside occasionally away from tracks and paths. Bronze and silver level training and assessments courses in the New Forest, Dorset and Wiltshire. Gold level training and assessment courses in South Wales. Complete the website booking form! You can pay immediately after you have booked using the website booking form. Payment is made using PayPal and you do not need a PayPal account to securely process and debit or credit card. If you choose to pay later you will be emailed an invoice with other payment options. Full payment is required if the course starts within the next 8 weeks. You can also pay using the website payment page. Check out each courses website page for all course dates and number of places remaining for each course or check out the course calendar for every course date a number of places remaining. Courses take place across the New Forest and usually start from a forest car park. Most are easily reached by car from surrounding towns and villages or further afield; a lift can be arranged if you are arriving by public transport or want a lift from your accommodation. Comprehensive joining details are sent a couple of weeks prior to the course date with details of the course location, start and finish times and suggestions for what to bring. Keep on 'track' and safe in UK hills and mountains. Learn how to use contours, compass bearings and accurate pacing and timings to stay safe and 'on track'. Ideal for aspiring mountain leaders and those looking to walk national trails and paths. Backpacking and wild camping courses - Learn to plan and go on your own adventures. Learn essential skills on an introduction to backpacking course in the New Forest - most equipment and food can be provided. 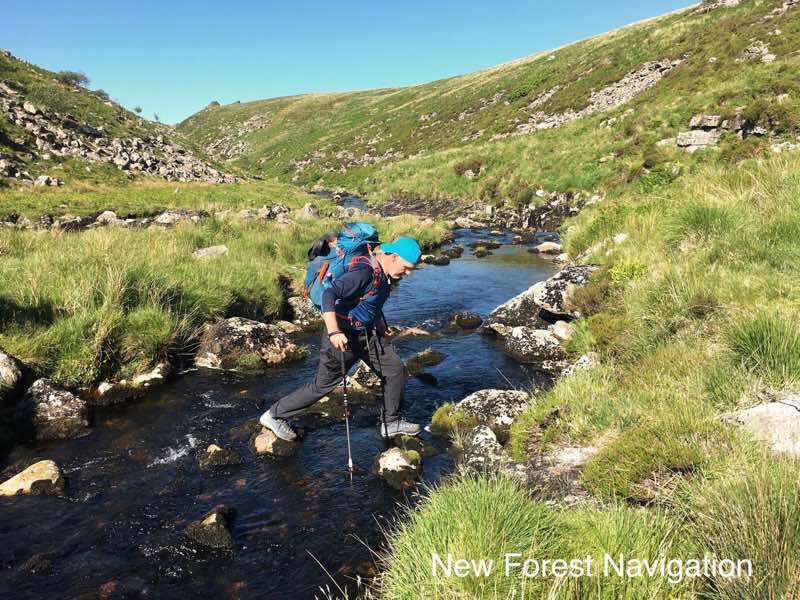 Join New Forest Navigation on a one or two night wild camping adventure on Dartmoor or south Wales - most equipment and food can be provided or bring your own. Equipment buying advice, training and expedition and wild camping training courses for one to one, couples or groups. Nigel has over 20 years of experience in leading, advising and training in outdoor skills. Take your next team day outside! Fun, challenging and rewarding activities for your group. Learn how to use a map and easy to find features to walk on tracks and paths. Easy to learn and easy to remember way to use a compass to point you down the correct path or track! Fun learning experience that everyone can engage in, enjoy and achieve. 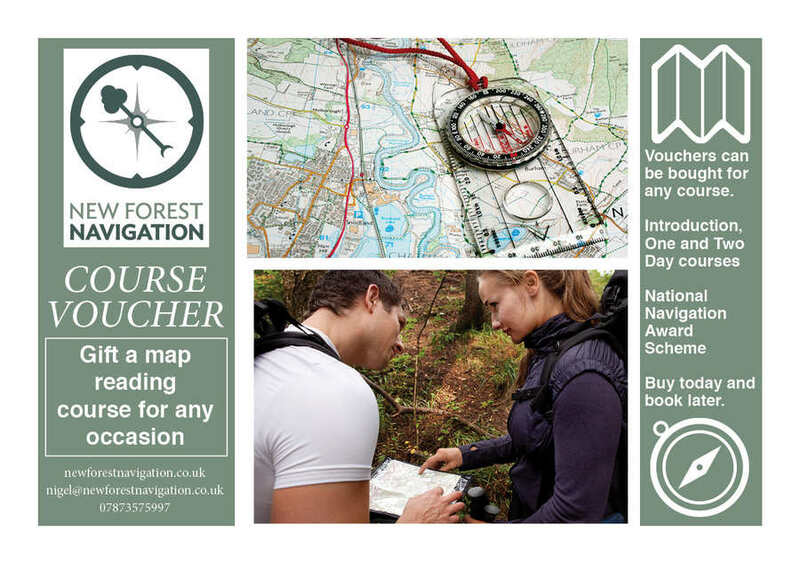 Half day or full day (one day map reading course) - All equipment provided. Just bring your team, some food and water. Courses can be arranged for one to one, couples or groups. Weekends, midweek and summer evenings. Learn how to use accurate timing, pacing and compass bearings to in low visibility conditions. 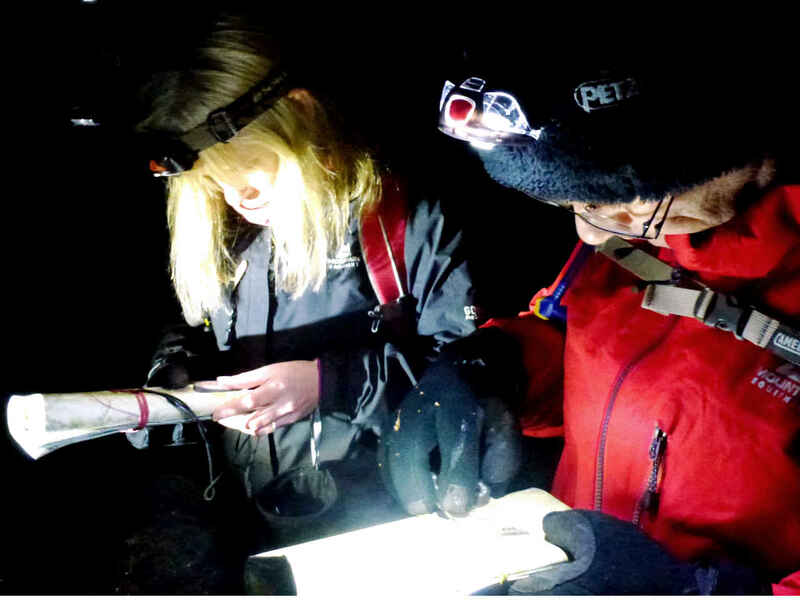 Night navigation courses take place a few times a year on the fainter paths and open heathland. The course is ideal for those who have already undertaken some training already and want to put skills to the test. 4-6 people on each course - or book as a 1:1 or 1:2 or group. Turn your smartphone into an outdoor GPS mapping and tracking device. 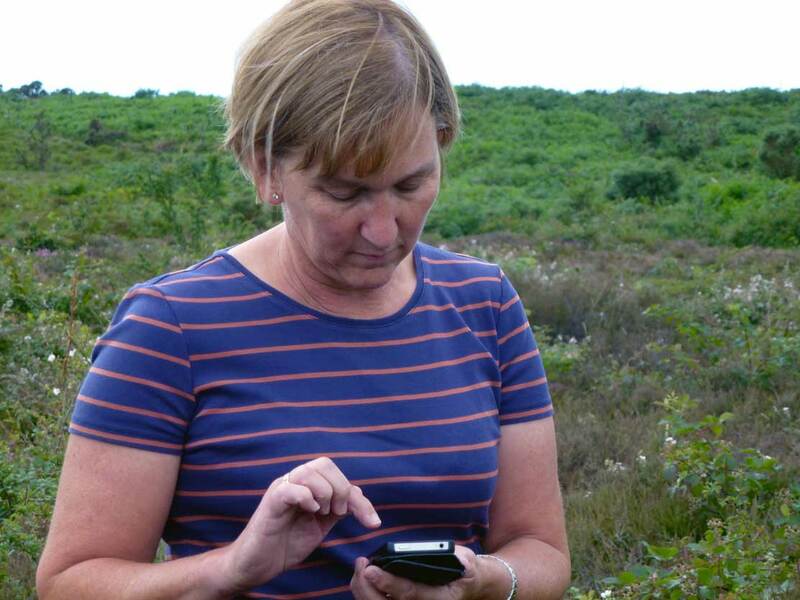 Indoor and outdoor training with an opportunity to try out the software in the New Forest. Courses can be arranged for your group, club or team.